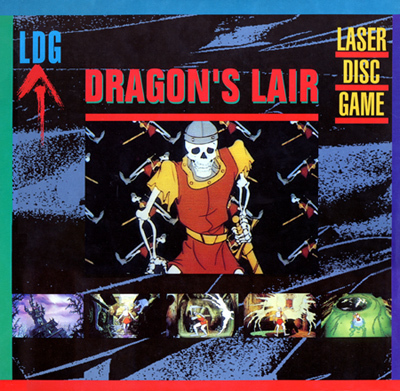 The aim of this ROM hack is to allow the use of Software Corner Dragon's Lair and Space Ace laserdiscs in European machines. As you probably know, these machines used laserdisc players and discs in PAL video format, all manufactured by Philips. 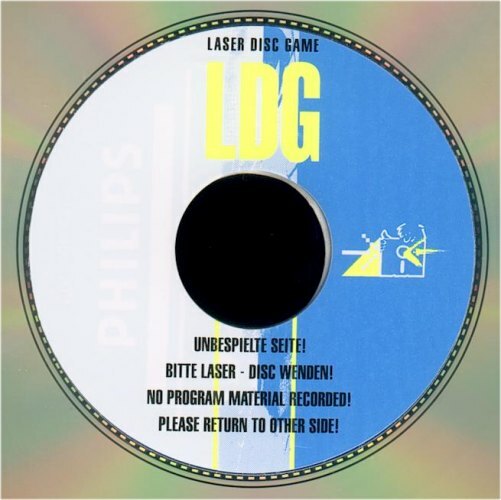 Well, apart from the laserdisc players being VERY unreliable, the laserdiscs nowadays are all almost gone for good due to the laser rot issue. 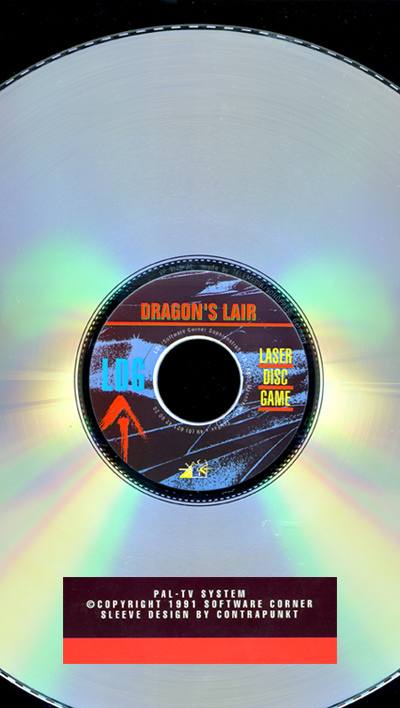 So, if you still have a European Dragon's Lair or Space Ace machine with a working laserdisc player, you most probably need a replacement disc in order to have a good video display. The only available solution is to use the discs reprinted in the early 90s by Software Corner, which are PAL copies of the original Philips discs. But in order to not allow the original arcade discs to be used with the Software Corner LDG home system, they added a frame offset so that the arcade discs would not be usable in the home system and viceversa. So here comes this hack. So please be careful, because these early discs are just 1983 arcade discs with changed hub label, and most if not all of them will suffer from laser rot. Note about Space Ace : Software Corner Space Ace laserdiscs are not compatible with the original arcade laserdisc player. In order to add more compatibility issues, Software Corner not only applied a frame offset, but they changed the audio track from analog to digital only. The original Philips 22VP932 laserdisc player used in arcade machines is not capable of playing digital audio. So, to use a Software Corner laserdisc in a Space Ace European machine you must also replace the player. Consider using a LaserCon LDP Converter or doing the EuroDL PC conversion. Modified ROM image (see download section), one (or more) blank 2764 eprom. 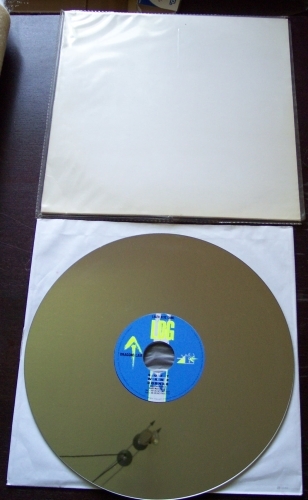 The reprinted Software Corner discs differ from the original Philips ones by an offset of 78 frames. For Dragon's Lair discs, basically you need to subtract 78 to the frame value in each frame search perfomed by the arcade machine. Well, by disassembling the ROMs, Jeff was able to understand that every frame search in the game is calculated on a 00000 base offset. This offset is stored in U45 ROM at a certain location. Jeff changed it to 99922 (78 frames less), and now the game works perfectly using a reprinted Software Corner disc. The same modification has been done for the three known European version of the game (so far) : Atari Rev.D1, Atari Rev.D2 and Sidam. Shaun did the same for Space Ace. This time the offset is positive, so he changed the base offset to 00078 in Space Ace Euro U45 ROM. The hacked ROM images are enclosed in the zip archive in the download section below. Shaun also fixed the CRC inside the U45 ROMs in order to have them all pass the CRC test performed at boot by the game program. You can view Jeff's work in the disassembled and commented code for the Italian Dragon's Lair version; just open the the .asm file contained in the zip archive in the download section. Simply burn one of the included U45 ROM images into a 2764 EPROM, and plug it into U45 located in the right center of the European Dragon's Lair or Space Ace board. Documentation is included in the download in the form of a readme text file. Many thanks to Jeff Kulczycki and Shaun Wood for spending their time and ability to develop this hack ! You rule !